For those of you who don't know what a burnt end is, let me tell you. A burnt end is the fatty end of the brisket (the point). Once the brisket is cooked, the point is removed from the flat and cubed into 1/4" pieces. 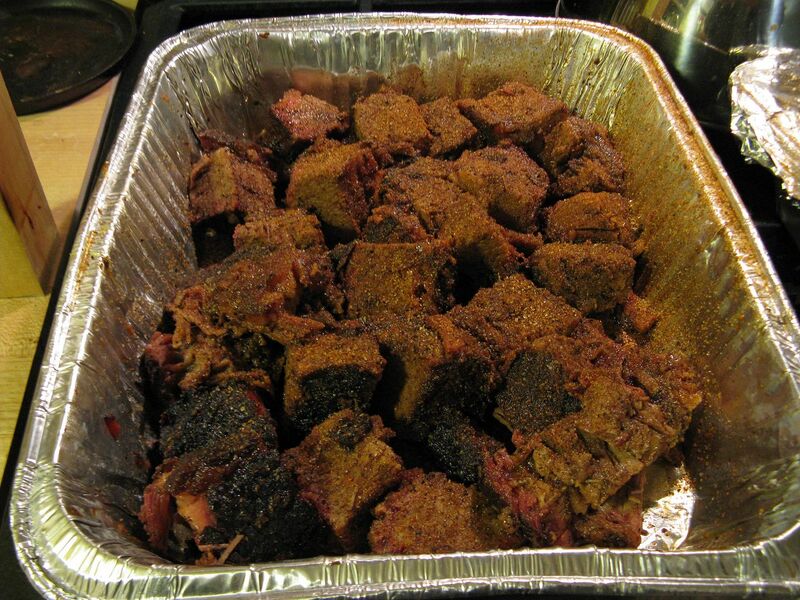 The cubes are seasoned with more rub, then either BBQ sauce or the au jus from your brisket cook is added to the cubes in a pan. Once mixed up, the pan is placed back into your smoker for another 15-30 minutes so that the rub and sauce/au jus can set and make a nice, crispy bark. They are the best part of the brisket in my opinion. 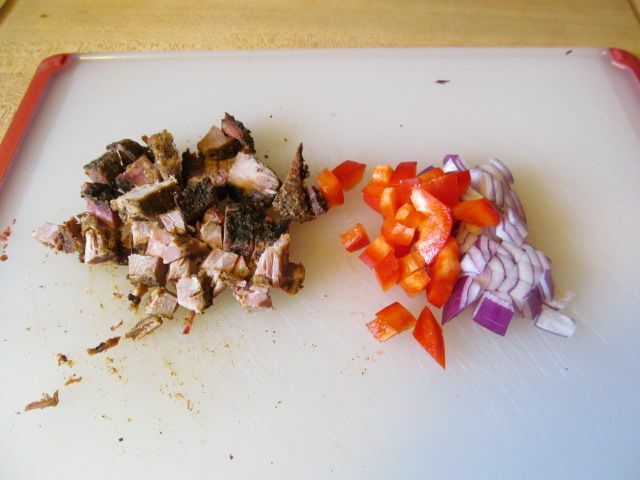 To start, I cubed some burnt ends, along with some red onion and sweet red pepper. As an afterthought, I added one fingerling potato, finely diced. I place the above into a sauté pan with just enough olive oil to prevent sticking and to promote caramelization of the pepper and onion. 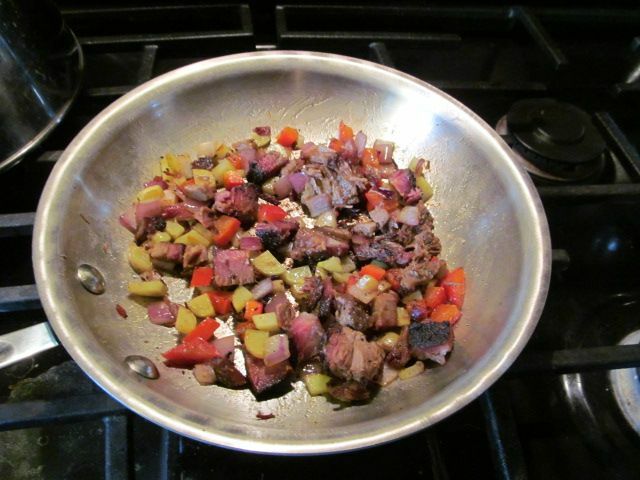 I sautéed on low for about 10 minutes, stirring occasionally, until I had the level of caramelization I desired. I removed from the heat and added one tablespoon of Blue Hog Tennessee Red BBQ sauce for a bit of tangy flavor. Then, I set aside. Next, I whisked two eggs and seasoned with salt and pepper. 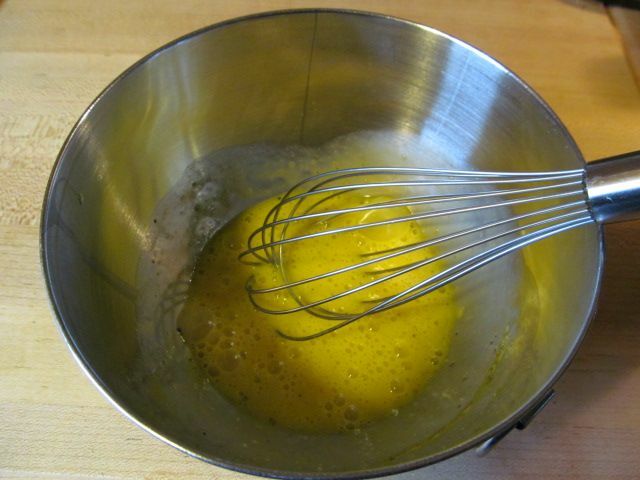 Add your beaten egg to a heated pan that has been sprayed with cooking spray. Once the egg starts to firm up, add your burnt end filling and top with the cheese of your choice. Flip your omelette over in half, then flip the half over to finish cooking the other side. 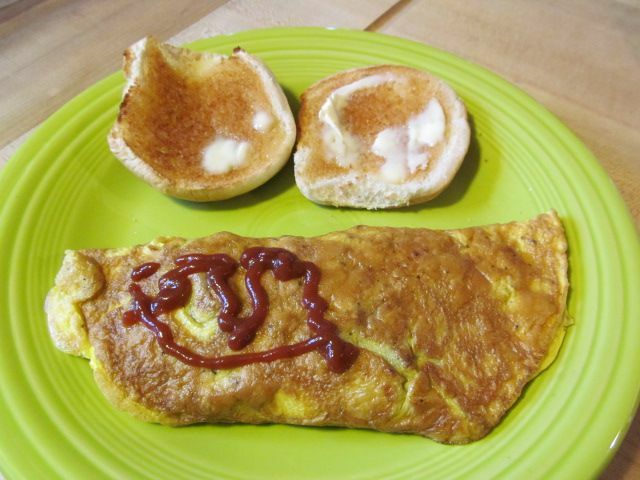 I served with sriracha sauce on half of my omelette for a little spice. Breakfast for dinner is the best. This was outstanding. 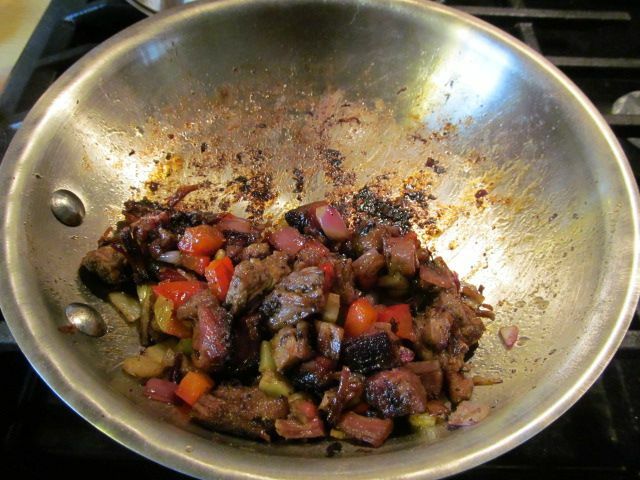 The burnt ends mingled nicely with the caramelized onion and pepper. The Blues Hog added the right amount of acid as a counterbalance to the fat in the beef. Finally, the potato added just the right amount of crunch. I would highly recommend that if you have some leftover burnt ends in your future to give this a try. "They are the best part of the brisket in my opinion. :" I agree.